Bring chic Italian style into your home with the Beatrice Armchair by Daytona. Hand-made in the heart of Tuscany, the solid beech frame is upholstered with the highest quality nubuck leather. The deep seat and button backrest is covered in multi-density rubber with an air soft upper layer and all-over surface padding of goose down for ultimate comfort. 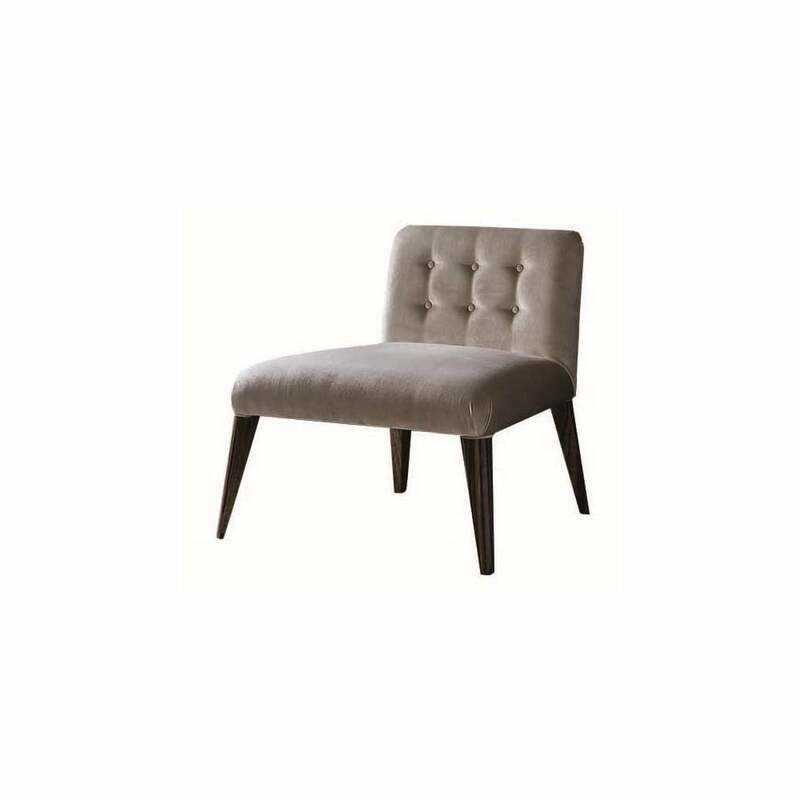 Featuring beautiful tapered legs with a gloss lacquer finish, the Beatrice Chair has an understated elegance that will suit both modern and traditional schemes. The upholstery is available in a range of coloured leathers to suit your scheme. Chair legs can also be realised in a variety of precious wood finishes. Make an enquiry for more information.